SAN ANTONIO, November 20, 2018	(Newswire.com) - Leesa Harper Rispoli, Broker / Owner of Coldwell Banker D'Ann Harper, REALTORS® was named Broker of the Year by Platinum Top 50 San Antonio. This honored and respected award is presented each year for extraordinary accomplishments, a history of service, positive influence on the real estate industry, and dedication to real estate agents. "I firmly believe that our greatest assets are our agents and support staff. I will continue to invest in them," says Leesa. "Our agents continually say I'm proud to be at Coldwell Banker and that this is the right company to be with for the right reasons. We care about our agents; we care about our staff — we care about family. That's my legacy." I firmly believe that our greatest assets are our agents and support staff. I will continue to invest in them. Our agents continually say I'm proud to be at Coldwell Banker and that this is the right company to be with for the right reasons. We care about our agents; we care about our staff — we care about family. That's my legacy. Leesa Harper Rispoli has been operating her family's brokerage since 2016 and was named as a 2018 winner of the San Antonio Business Journal's Women's Leadership Award. Coldwell Banker D'Ann Harper, REALTORS® has nine offices that consist of over 450 real estate agents and 100 employees. 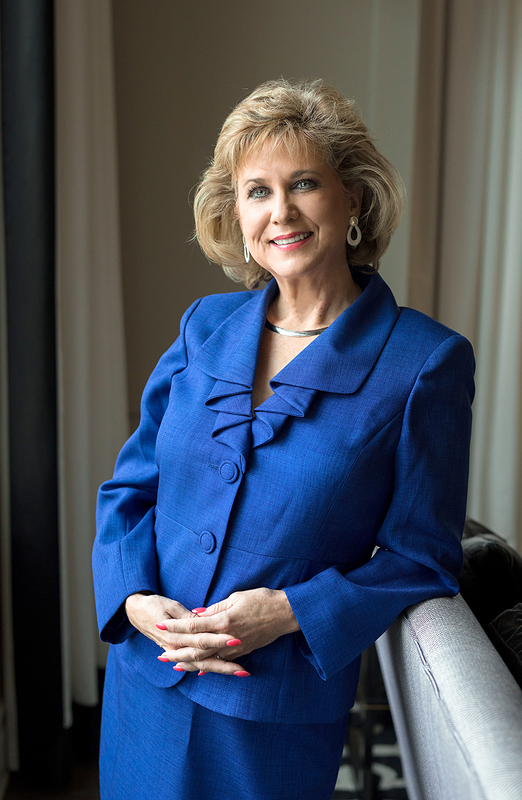 Before becoming the Broker / Owner of one of the largest real estate brokerages in South Texas, Leesa was a devoted leader in the field of education. Her passion for education and coaching has led the effort of bringing the very best tools and services to her company. To date, Leesa has invested nearly half a million dollars in technological and marketing support for her agents. In addition to being a wife, mother, and grandmother, Leesa works tirelessly to improve the lives of her agents and employees by listening to their needs and collaboratively make positive changes. The official 2018 Platinum Top 50 Award Ceremony will be hosted on Dec. 7 at the Omni Hotel. Coldwell Banker D'Ann Harper, REALTORS® is the leading residential real estate brokerage in the South Texas and San Antonio area with 9 offices and more than 425 Sales Agents serving the local communities.